If your service is part of your normal weekend schedule (e.g. Easter) you will want to make sure to check the "Include in regular reports?" checkbox. This will ensure that this service time will show up on your dashboard, reports, and charts as part of the regular weekend. If left unchecked, it will remain as a standalone event and will not be included in standard reports. 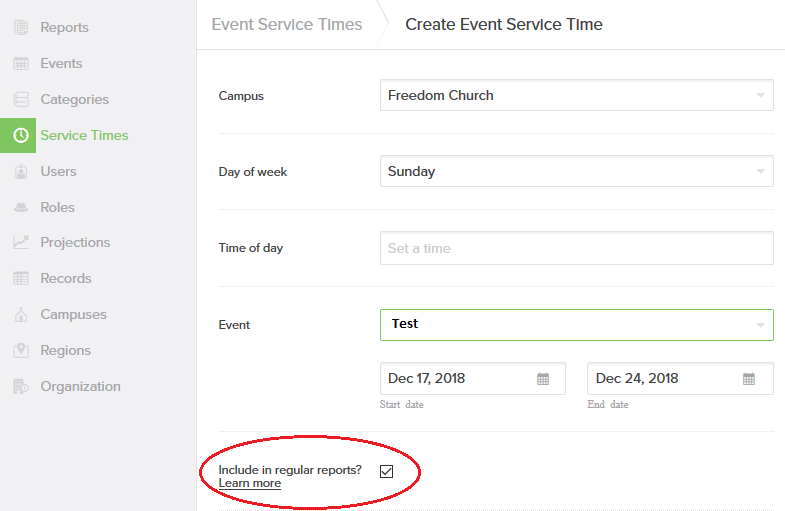 To show the attendance, create a new report, select the desired categories, and select the desired Event from the right side of the screen. When the new report is run, it will show attendance from only that event.